Attorney Valvo joined the firm in 1989, and became a partner in 1991. He has concentrated in governmental matters, providing advice and representation to private individuals, non-profit organizations and trade associations, business organizations, and State and municipal governmental agencies and authorities. He has represented clients in numerous cases involving constitutional issues and challenges to administrative agency action. In addition, he provides advice and representation to both governmental bodies and private entities and individuals on matters of government ethics, public contract procurement, public records law, lobbying law, ballot questions, rulemaking, and other areas of government operations. He has successfully represented clients in "whistleblower" actions under the Federal and State False Claims Acts. Also significant among his practice areas is the representation of clients who wish to participate as amici curiae in cases pending before the State and Federal appellate courts, including such organizations as the Massachusetts Medical Society, Retailers Association of Massachusetts, Associated Industries of Massachusetts, Massachusetts Police Association, Massachusetts Hospital Association, and others. From 1977 to 1989, Mr. Valvo served as a Massachusetts Assistant Attorney General. In that capacity he was actively engaged in litigation on behalf of the Governor and a wide variety of state agencies and officers at all levels of the state and federal courts, including the Supreme Court of the United States. In 1981, he was appointed Managing Attorney and Deputy Chief of the Government Bureau and assumed additional responsibility for supervising and coordinating all litigation involving state governmental operations. In addition, he was appointed to serve on various boards and commissions involving such diverse subject matters as municipal finance, physician reimbursement and corporate takeovers. Mr. Valvo has received appointments from Boston College Law School and the Harvard Law School as a clinical instructor and has served as a speaker at numerous professional programs sponsored by the American, Massachusetts and Boston Bar Associations. He received a bachelor's degree with honors from Harvard College in 1970. He attended Boston College Law School and was graduated with honors in 1977. 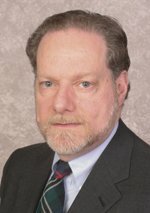 He works primarily in the Boston office and his practice is concentrated in administrative law and governmental matters. His clients include governmental agencies and authorities, non-profit organizations and trade associations, business organizations, as well as individuals.